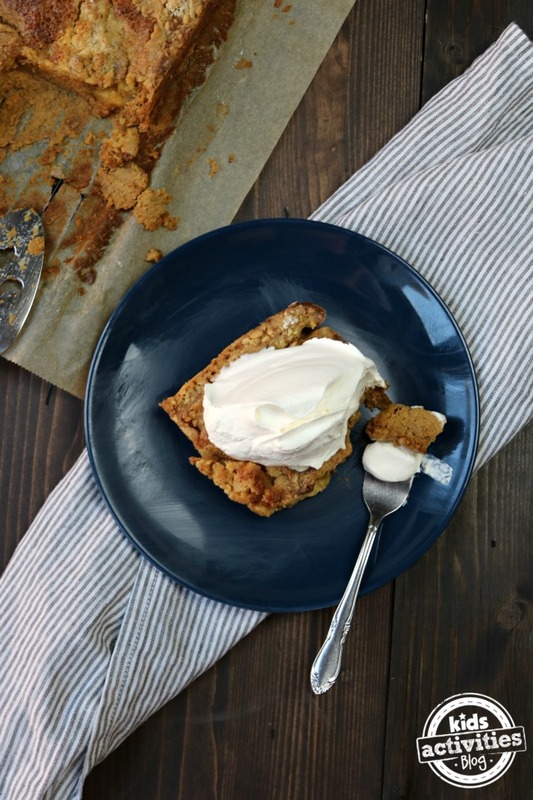 It’s pumpkin season and that means wonderful treats featuring this fall staple! 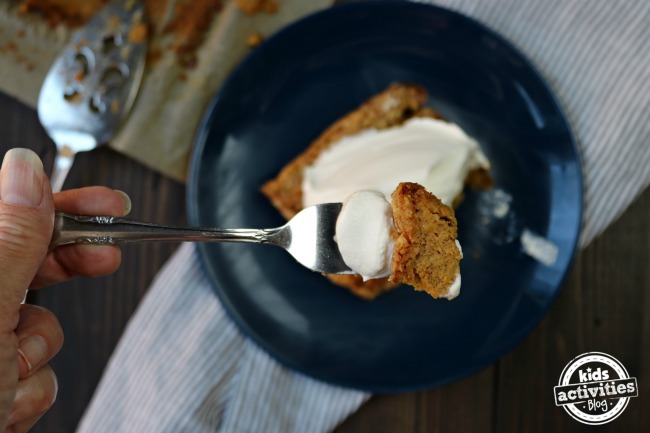 One recipe you have to try is this Pumpkin Bars recipe. It has the flavor of pumpkin with the consistency of a cake. It’s the perfect sweet treat! One thing that is different about this recipe than a traditional cake is that it takes longer to bake. And you want to make sure it’s cooked all the way through. You can also serve this warm with a little vanilla ice cream! Yum! Chris is a writer, TV producer and foodie! She enjoys writing about food and teaching others how to cook and prepare simple, family dishes on her food blog, Burnt Macaroni. Follow her on Facebook, Pinterest, Twitter and Instagram as she teaches herself and her kids how to cook! Is it lined with parchment paper? The recipe only says to line but not what to line it with. Also it says to sprinkle with the cake mix. Do you use the whole cake mix or do you sprinkle with just a light coating. The recipe isn’t very specific, but the short video kinda looks like more of the cake mix is used.